How would you describe the holiday season in just a few words? This is pretty much the exercise that I went through while writing and designing this year’s Magnetic Ideas Holiday cards. How does one encapsulate the entire holiday season in such a small window? What two words would you choose? When I think of the Holidays, I think of children and the unabashed joy and wonder that they experience on Christmas. The joy of uniting with loved ones. The joy of both giving and receiving of gifts. The music. The food. All of these things bring out the joy in life. Sitting by the fireplace, slowing sipping a libation. Reading a book to children. The soft glow of holiday candles and lights. A walk on a path in the gently falling snow. Stealing away on an empty sofa to read a book. These are all images that come to mind at this time of year. The holidays allow us to take time off. Everything seems to slow down and let us reflect on the good things in life. People become more spiritual and their hearts open up a little. 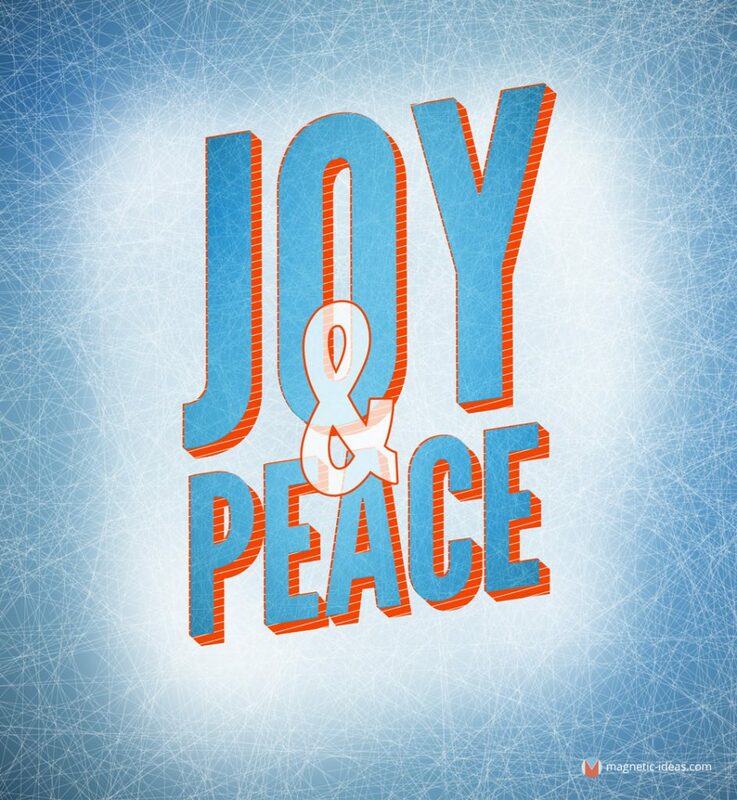 Wishing you all a Holiday Season full of both Joy and Peace!